For those of you who work mostly in 2D media, getting your artwork online for your Gallereo page is relatively easy. But for artists who work in sculpture, jewelry or any other three-dimensional media, there are some more unique challenges. 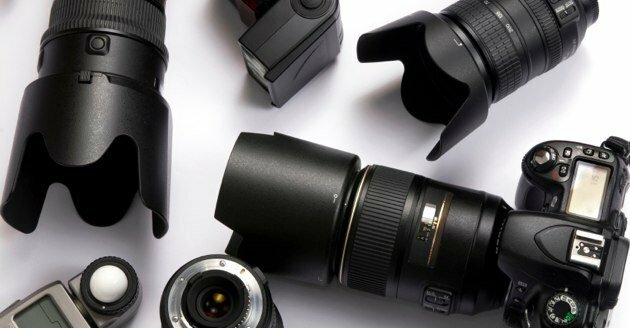 Obviously, you'll need a decent camera to create good quality images, but there are a few little tips and tricks that can take your decent sales images to a whole new level. One of the easiest ways to create a real WOW! reaction is to build a simple lightbox. What's a lightbox, you ask? Often when you see product or sculptural photography, it's highlighted against a white background for impact - but instead of spending hours of your time in Photoshop removing backgrounds and faking realistic shadows, a lightbox will enable you to create that effect almost instantly. Best of all, you can make one from materials you've probably got lying around at home or the studio. First, decide the optimal orientation for your lightbox - this will depend on the shape of your pieces. Remove any open flaps from the box, and set it on one end with the open side face towards you. Using your knife, carefully cut 'windows' into the top, left and right sides. Remove as much of these sides as possible, but try to leave about 3-4 cm of 'frame' around the windows, to maintain the shape of the box. Next, cover the windows you've just created with your tracing/wax paper and attach them with tape to the frames. This will allow a maximum amount of light to hit your subject, while diffusing it gently to create beautiful, soft shadows. Finally, take your banner paper and attach it to the back of your lightbox, as close to the rear upper seam as possible. Let it hang down loosely in a gentle curve, so that it reaches the bottom of your lightbox and extends out the front. This is your backdrop, and of course you can use any colour of paper you wish, but in most cases white is the best choice. That's all there is to it! Now take your lightbox, your piece and your camera outside, and find the best possible angle of lighting. If it's not a sunny day, indoor studio lights will work, but non-photographers often don't have access to a light bright enough to really create the stunning exposures that will create the best sales images. Don't forget to take some additional closeups to show the details of your piece. Once you've taken your shots, all that's left is a few simple contrast adjustments in Photoshop and you've got world-class sales photographs for your Gallereo page!